“New Seasons Market is a chain of privately owned grocery stores operating in the Portland, Oregon metropolitan Area of Oregon and Washington. Founded by three families and 50 of their friends in 1999, the company currently operates 13 stores in the greater Portland/Vancouver metropolitan area, including: Hillsboro, Oregon, Beaverton, Oregon, Happy Valley, Oregon, Vancouver, Washington, and Lake Oswego, Oregon. Many of the products offered are organic food and produced locally in the Pacific Northwest. The stores differ from most grocers by offering natural and conventional products side by side”. There aren’t many other buildings left from 64 years ago. There’s the Palomar Hotel, and if you peek closely you can see the Town Clock atop the Odd Fellows Building in its original location. And as usual, I like to point out how easily four cars could park and pass on the old Pacific Avenue. JOHN WAYNE’S AMERICA. Just don’t forget that John Wayne was a draft dodger! SYNCHRONISED SWIMMING SKETCH. I think I showed this one before and it’s always a testimonial to our young students. SANTA CRUZ BEACH BOARDWALK 1920-1940. 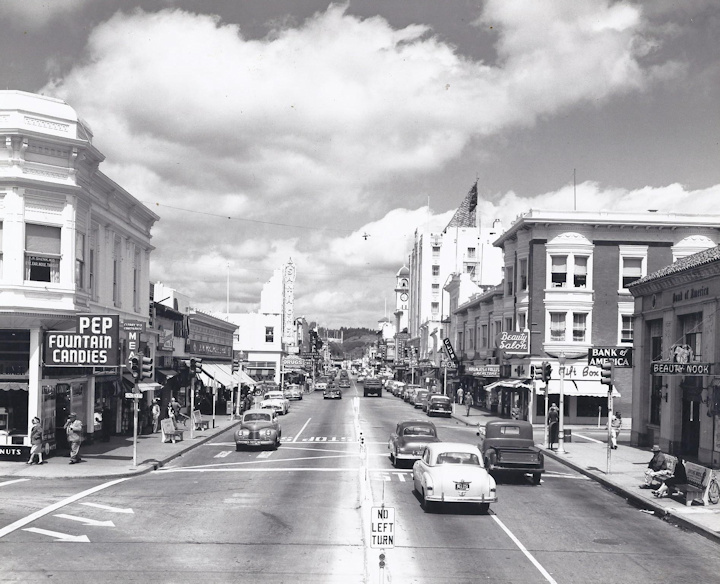 Not quite the same home town feeling now as back in this day…and it makes the City of Santa Cruz what it is today!!! “I’ve been volunteering occasionally with the Coffee Talk program that the Santa Cruz Library is doing on Thursday mornings, inviting homeless persons to gather near a canopy set up at the corner of the downtown library for–as it says–coffee and talk. After the first hour 9-10 a.m. people who want one-on-one assistance with a specific problem, such as “how do I get a cell phone?”, come into the library upstairs where there are computers set up to work with volunteers. I’m learning a lot just by going twice a month and getting some of the materials that are distributed about homelessness. There is a movement called “Housing First” that has come to mean providing a chronic homeless person with direct and immediate access to housing. It reverses the traditional concept of “treatment first and then housing” to “housing first and then appropriate treatment.” Apparently, some communities are using this model successfully. I saw a video of housing that Salt Lake City has built for the homeless and it said that the city is free of people living on the streets. Awhile ago on the radio I heard a report of a city in the midwest (sorry don’t remember the name) that was able to do a program subsidizing landlords to provide housing and found that it saved them a lot of money from the policing and emergency services. Salt Lake City presumably has a dominant Mormon ethic of taking care of ‘your own’ that would have supported their housing initiative. The city in the midwest had vacant apartments as a result of population loss. Obviously, Santa Cruz has a whole other set of conditions. As long as the control of land and money are the competitive driving forces of social and political power, it is hard to see a solution to homelessness”. There’s no doubt that there are probably more than a thousand help the homeless programs in place around the USA. Each of them I’m sure does some amount of good. The Salt Lake City plan which “provides a chronic homeless person with direct and immediate access to housing”…must mean that Salt Lake City has that immediate access!! Santa Cruz doesn’t, nor do very many other USA cities. There must be another way to deal with this, or just accept the homelessness as a fact of our community…and keep dreaming up new little programs. As development pressures in Santa Cruz heat up, we can expect to hear more about the so-called “YIMBIES” (Yes In My Back Yarders) as well as arguments for open space management to move with the times and incorporate modern interests such as drones, high-tech wheeled vehicles and other forms of “activation” into our city parks. To vigorously defend Santa Cruz from losing its identity by overbuilding and to protect its precious open space lands, we need to demonstrate the fallacies in the arguments and expose the commercial interests that drive them. The Good Times of 5/30/17 in its article on YIMBY featured one pro-development speaker who was one of two people who defended high-rise and dense development in the Corridors Plan to the Planning Commission in contrast to the large crowd of neighbors who attended and spoke and who will be affected by such over- building. I was struck by the words of this newcomer to Santa Cruz. In defending high-rise development, he said, “I feel I have a right to live and build a life here, too, just as much as the people who’ve been here for 30 or 40 years and already own a home.” There’s no argument against that claim. Sure, he has that right and nobody is suggesting otherwise. But does the community have the responsibility to provide him with the housing he seeks? I would argue no, we have no responsibility to provide housing for the millions who would like to live in Santa Cruz. In fact, rights and responsibilities are not relevant in this debate. Or if they have a place, I can argue that I have a right after 40+ years of working to contribute to this community to not have its identity erased by overbuilding and a responsibility to protect its open space lands as bulwarks against rapid urbanization. Such opposing opinions mean little in the big picture. What is meaningful is that the developments proposed will, in the analysis of sustainable urban planning experts, lead to gentrification, which means higher real estate values and the resulting displacement of lower income, mostly Latinx (gender neutral term) workers who serve the consumption needs of the more affluent. This displacement will lead to more not less automobile trips as service workers are forced to live further from Santa Cruz, drive more and therefore increase carbon emissions. 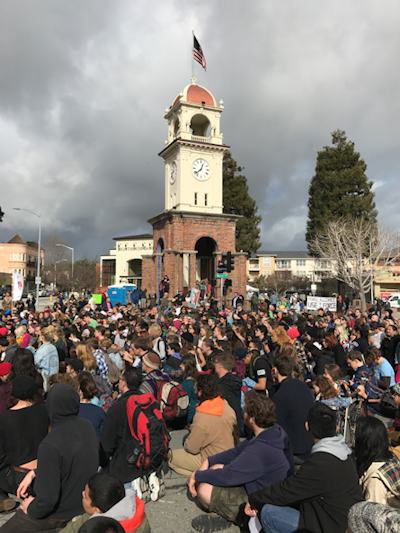 Most people in Santa Cruz favor reducing carbon emissions; are opposed to dislocating low- income workers and understand that our human and natural resources are finite. These are the values that should be the basis for dismissing the pro-development speaker’s arguments. His support of tall buildings as a way to provide accessible (sic) housing is without basis. San Francisco has tall buildings and housing is more expensive than Santa Cruz. We don’t have a housing crisis: we have a housing cost crisis and current renters are the ones who are suffering. Housing is a speculative commodity on the so-called free market and that fact, fuelled by UCSC growth, high tech industry and the global marketing of Santa Cruz by economic self-interests has led to the current crisis. We will not reverse these forces via building more: we will only transform Santa Cruz into a high-tech, wealthy white urban center as the old-timers die off and their modest homes are bulldozed to make way for luxury homes or consolidated into high rise, dense expensive rentals marketed to high tech workers and students from wealthy families with maybe a handful of below market rate but still pricey rentals included. There are no alternative facts in this debate. As for the cutely named YIMBY… those who profess such an attitude actually don’t have backyards since they are looking for them. Or, they don’t live anywhere near the proposed developments, as is the case with the senior city planners who are orchestrating this re-zoning for overbuilding and the YIMBY representative quoted in the Good Times article. In a similar vein, those who desire access to our open space lands for high tech mountain bike single track trails or cyclocross races in Lighthouse Field or drones use the argument that it’s time to accommodate these new popular activities since, well, they are popular. The mountain bike industry argues that the ubiquitous illegal trail riding is a result of the insufficient provision of legal, single track trails, as a person robbing a store might argue he wouldn’t need to rob the store if the store gave away free drinks. Omitted are the sound ecological reasons to not allow thousands of bikers on single -track trails and the fact that the presence of high -speed bikers ruins the experience of nature for everyone else, including the non-human species, who call it home. While a few give a nod to those locals who put their hearts, minds, energy and time to save these open spaces, most are dismissive, ignorant of the fact that without those early efforts there would be no open space available for anyone, including mountain bike riders. Without a moment’s reflection, they postulate that environmental documents need updating to incorporate the current active popular sports. That the various Master Plans state that only passive activities are allowed in Pogonip and Lighthouse Field to use two examples, are viewed as outdated restrictions in need of revision. We can only hope such narrow-minded individuals don’t turn their gaze to the Constitution. BIGGER AND BIGGER AND BIGGER. There’s a motel in Santa Cruz near the corner of Swift and Mission streets. It’s currently called, the Sunset Inn. It will soon be named after its corporate overseer, the Hampton Inn. Seems that “Hampton,” a subsidiary of Hilton Worldwide has their “Global Corporate Office” in McClean, Virginia, just up the I-495 toll road from the CIA’s headquarters in Langley. The Sunset is a faded, light-brown, poop-colored really, stucco faux Spanish Colonial seventies sprawly structure. The parking lot is perhaps its most notable feature. It is one of those motel parks where you drive in right up to your room, never have to see another soul, sleep a few hours and get back on the road. Motels like the Sunset are middle-of-nowhere sleeps on the way to somewhere. It’s a 32-room, rather anonymous piece of anywhere marking our city’s Highway 1 North gateway. 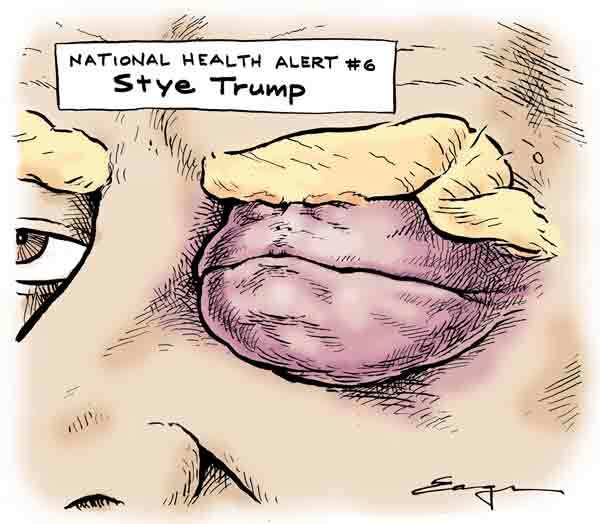 It’s a tremendous rebuilding opportunity by anyone’s standard. But, at last Tuesday’s city council meeting, a day after the Warriors took to the court to complete their championship run, the ball this day was in the council’s court. Would this faux-colonial–shelf-life of a couple decades–become a “destination” hotel, or remain an also-ran? The majority of the Santa Cruz city council, over the objections of neighbors, the warnings of two minority council voices, and a lack of any articulated “community gateway” aesthetic sense, approved doubling down on motel schlock with more motel schlock. A “new and improved,” and just as unremarkable, 60-room faux-something else will take the Sunset’s place, and the community will keep on losing in the Great Santa Cruz Motel Building Boom. Maybe you’re not surprised when you see one of these sterile, photo-copied monoliths, elegies to a throw-away culture, as you careen past pockets of corporate compost–McDonald’s, Arby’s, Exxon, and Denny’s–on I-80 as you leave the Golden State behind and head for Elko. Or one might be planted like a pernicious weed along I-70 on the outskirts of say, Kansas City, or perhaps you’ve just slid into a widget-like restaurant booth tinged with southern grease and humidity along the I-10 corridor outside of Baton Rouge, and yep, you look up and there it is, another boxy, soulless Hampton Inn staring you in the face like a bad television commercial. But, my friends, this is Santa Cruz, and you and I both know we can do better than freeway off-ramp motel offal. The neighbors along King Street and Mission Street know we can do better. Eastsiders present at the meeting, wondering how the Westside corridor neighbors would be treated, also know we can do better. Local businesses like Companion Bakery and Another Bike Shop know we can do better. Environmental groups clamoring for green, Leeds Certified buildings know we can do better. (No one asked that the building be carbon and water neutral. Why?) A dozen neighbors who showed up at the council meeting knew we could do better. In fact, they presented ideas on how to improve upon the corporate crap-model, not to stop it, but to make it more interesting, more compatible with the neighborhood, and even to acknowledge and celebrate a building that would be constructed at the front gate of a town they thought was a Somewhere. But, alas, someone, the right developer perhaps, forgot to get that memo to the city council majority. Led by Cynthia Mathews’ sprinkling of fawning delight over slabs of the developer meats that were being sautéed bolt upright on the city council pews, and doing their smiling on cue, the majority once again bent, not like the arc of history towards justice or at least architectural good sense, but like Bartleby the Scrivener’s stamp pad bending towards securing more for the Haves, while the Have-nots should just be lucky to get eight-foot sidewalk setbacks and lollipop trees. (Nobody was sure how many trees there would be, and the ones in the architect’s renderings are always so mature and overblown. )I saw not a whit of public benefit in this project. The motel owners get a three-story building with twice the room count (60) and $359-graduation weekend room rates, while the corporation gets yet another foothold in our community, and the neighbor’s needs and desires are swatted out of the way like too many bothersome flies hovering, and wondering about who’ll take responsibility for this piece of corporate building detritus. Who indeed? Folks, I ran for city council because the growth in hotels is beyond our community’s ability to sustain the traffic and water growth. Our community’s carbon footprint is increasing, not decreasing. I ran because I wanted to see the council attract and negotiate with housing developers who wished to build green affordable housing for people who live here now. I ran because the housing-jobs-quality of life balance is so out of whack. Little did I know how crazy things really are. Your city council clearly had the ability last Tuesday night to make some demands on the Hampton Inc. representatives in order to get a better architectural product that would clearly, and maybe cleverly, mark one of the gateways to our community. We clearly failed that test. How many more corporate temples will be built? Let me count the recent building blunders: the Fairfield Inn on Mission Street Extension; the PAMF building on Mission Street; the Broadway Hyatt, yet to open, and the 94 market-rate condos now being built at 555 Pacific where Front and Pacific come together. And to think, this city government wants to be in charge of rebuilding our cherished Civic Auditorium, wants to put the municipal wharf on steroids and double the commercial square footage, and perhaps most unconscionably, they salivate at the notion of constructing a 5-story “library-garage” on the current site of the Farmer’s Market. Don’t forget, the midterm elections are right down the road and do we ever need a new Congress! And, by the way, three seats will be open on the Santa Cruz City Council too. Let’s keep our eyes on the prize my friends. The people will win, but only if he people do the work. Stay tuned because this revolution will likely not be televised, but it will be in full color anyway. Bernie Sanders Tweet of the Week: “We must demand a justice system that values black lives, not one that takes innocent black lives”. APTOS VILLAGE PROJECT APPEAL JURISDICTION..FILL THE ROOM ON TUESDAY, JUNE 27 FOR BOARD OF SUPERVISOR CONSIDERATION. If you can, please attend the June 27 County Board of Supervisor meeting (9am) when they will consider whether or not to listen to citizen appeals for upholding the County Code, and requesting further environmental review for the Aptos Village Project. Citizens have had to pay $1800 for this, which one would think would be part of the job a County Supervisorial Board would just do as elected public leaders. Well, people need to be there to ask that the Board take jurisdiction to hear the appeal, and to write Chairman John Leopold with this request if they are not able to attend the meeting. The Historic Preservation Plan for the Aptos Village Project expired January 19, 2014. There were no active permits being considered at that time that could perhaps fit the County’s loophole of keeping the Plan active. (Check for yourself on the Planning Department website for APN 041-011-03, -33, -24.) Under Santa Cruz County Code16.42,060(L), the Plan was good for two years after approval (January 19, 2012) by the Historic Resources Commission, and could only be extended by that Commission upon application prior to expiration of the Plan approved. That did not happen. Well, there you have it, folks….the County simply must obey its own laws. Now, you and I all know that the County would NEVER make Barry Swenson Builder, Pete Testorff, Joe Appenrodt and the other faceless developers of the Aptos Village Project take down the 17′-high retaining walls, the 3-story steel girders or the concrete foundations now in progress. HOWEVER, the County Board of Supervisors could show leadership and require that the developers widen Trout Gulch Road between Cathedral Drive and Soquel Drive to accommodate the added traffic impacts of the Phase I development. The County Board of Supervisors COULD show leadership. They could help the public negotiate buying the Phase II Project area as a mitigation for Phase I traffic, water and public safety impacts, and assist with development of that Phase II area for Nisene Marks State Park users and possible future rail passenger parking, to re-build the world-famous Aptos Bike Jumps, to re-plant some trees and create public open space or community garden space. Please write Chairman John Leopold, John.Leopold@santacruzcounty.us or 701 Ocean Street, Santa Cruz, CA 95060 with your thoughts. Attend the June 27 meeting if at all possible. Help save Aptos Village for EVERYONE! CARLOS PALACIOS CHOSEN AS NEW COUNTY ADMINISTRATIVE OFFICER. Well, well, what a surprise. Last week, the County Public Information Officer, Mr. Jason Hoppin announced that the Board of Supervisors will anoint Mr. Carlos Palacios as the new County Administrative Officer (CAO) to replace Ms. Susan Mauriello. That has been a done-deal for a long time, and I think the County Board of Supervisors could have saved the taxpayers a tremendous amount of money by honestly admitting as much. Taxpayers could have been spared the $20,000 contract price with Peckham & McKenney to supposedly conduct a nationwide search and thousands more dollars for the expensive interviews held for two days at Hotel Paradox. This farce reminds me of the “public workshops” commonly held to pretend that the public’s input will be used to shape plans for neighborhood developments. No governmental transparency here. People who have had dealings with Mr. Palacios are really quite worried about what taxpayers can expect to see happen in Santa Cruz County government under his leadership. Although the elected Board of Supervisors is supposed to be the real decision-makers in this picture, in truth, it has been CAO Ms. Mauriello, and will quite likely continue as such under the financial whip of Mr. Palacios. He was the Watsonville City Manager for 18 years before being tapped as Santa Cruz County Deputy CAO in 2015. I have read the 2010-2011 County Grand Jury Reports regarding the very disturbing and serious investigations into the Watsonville City business that leads me to urge all citizens to watch the new CAO closely. These concerns stem from the City of Watsonville’s attempts to legally bluster through a push to essentially get rid of the airport in order to develop dense mixed-use construction (think Aptos Village Project) and thereby disregard deed agreements made in 1947 when the City bought the airport property for $1, provided it remain an airport in perpetuity. Under Mr. Palacios’ guidance, the City fought a legal battle to ditch the airport with Resolution 74-05 (April 12, 2005) and ignore orders from the State Department of Transportation (April 21, 2006) to invalidate that Resolution. The Pilots Association sued the City and won (March 15, 2010), causing the City’s taxpayers to pay about $692,000 in legal fees to the plaintiffs and about $442,000 in City attorney fees when the 6th Appellate Court denied the City’s appeal. Mr. Palacios also refused to address inquiries by the City Council regarding why the City wrote a check for $225,000 for a new fire engine but did not sign a contract for the truck’s delivery. It took three years to finally get an engine, and it was not the one originally purchased. And then, there was the $18,000 cash paid to bands to perform at the Strawberry Festival….. I noticed that many of the internet site searches for Register-Pajaronian articles discussing some of these interesting findings are now not responding to searches. Hmmmm…. The County Board of Supervisors will be approving the proposed 2017-2018 Budget this week. I wonder how the CAO will present it all as a balanced budget, as claimed in the glossy full-color document available for public view in the County Clerk’s office (5th Floor)? Maybe that is why the Board of Supervisors had to recently approve taking out a short-term $46 million bond? How long can the County taxpayers support this? A FINE GLASS OF PINOT FIXES EVERYTHING. Last week, Pleasant Valley rural residents and I brought an appeal before the County Planning Commission regarding approval of a commercial event center at the Lester Winery. Rural residents in the Pleasant Valley and Hames Road areas really have valid concerns about the negative impacts to County roads and public safety by allowing Lester Winery to hold multiple large commercial events with 200 guests and outdoor amplified sound until 9pm in the neighborhood. This is not a permitted use under current County Code and was stated as such in the Staff Report. 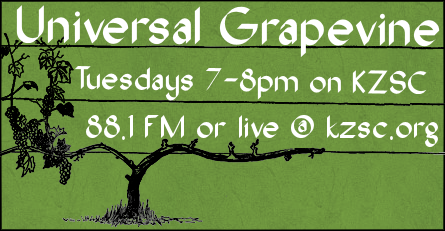 So, I was amazed to hear the Planning Commission acknowledge that it is not currently allowed under current Code unless the events support the agricultural use of growing grapes. It was decided that if the Lester Winery could require all event customers to drink their wine while at the large events, it would then be okay. Really? So, how does amplified outdoor sound relate to that? Well, since there was a report from Edward Pack Acoustic Consultants claiming that no amplified sound could be heard at the property boundaries, there would be NO PROBLEM with allowing outdoor amplified sound. It seemed that Planner Sheila McDaniel may have “misinterpreted” some of the information, and hence required all speakers to be aimed south, but the consultant quickly said that he had not recommended that and that it really did not matter which way the speakers were aimed. The Hills Are Alive With the Sound of ……a DJ? It seemed to me that most things really did not matter in this public hearing. Not even the fact that County Environmental Health had noted “due to the large number of event guests, porta- potties are not allowed.” yet that is what was approved. In the end, the Commissioners had individually visited the site and, I think, already made up their minds about how this would be approved as a test case for large commercial events in the rural areas. I thought it was telling that the first question asked by Second District Commissioner Ms. Melanie Shaffer-Freitas of staff was “How far off is the EIR for the Code Modernization (that will make this sort of use legal)?” When Planner Ms. McDaniel replied that staff has not had time to work on it much, and that the EIR (Environmental Impact Report) is at least two years away from completion, it was obvious that the Commissioners were going to approve the Commercial Use Permit for the Lester Winery, a rural residential and agricultural area. The fact that the Lester family has been holding “Family Parties” there for years to raise money for various non-profits probably helped influence the decision making as well. Later, a Commissioner assured me that they had not approved a commercial event center. So, can anyone please explain to me the difference between a Commercial Use Permit for large events (200 guests) with outdoor amplified sound and how it is not the same as a commercial event center? Maybe it would make more sense to me if I had a glass of good Pinot…..
MAY I HAVE A GLASS OF CLEAN AFFORDABLE WATER, PLEASE? Soquel Creek Water District will this week be signing more agreements with the City of Santa Cruz for sewage water to inject in our drinking water supply within the near future. That is the Pure Water Soquel project rumbling down the pipes, even though the Soquel Creek Water District Board insists publicly they have not made a decision about which supplemental supply they have chosen to solve the critical aquifer overdraft problem in their area. On July 12, 7pm, they will hold a public hearing at Twin Lakes Baptist Church (next to Cabrillo College) to explain the new Scoping for their Environmental Impact Report (EIR) studies of the issue. Essentially, the EIR process has been set back due to the neighborhood outcry regarding the plan to place the industrial use sewage treatment plant at the West Annex location at District Office headquarters, which is immediately adjacent to a residential neighborhood. Here we go again…another questionable land use in a residential community. So, if the Soquel Creek Water District Board has not decided what their plan is, why does the 2018-2019 budget include a 17% rate increase (to pay for the PureWater Soquel Project), and add in extra administrative, engineering and operations staff to openly handle the Project? Why don’t other well owners besides Soquel Creek Water District have any say in what gets dumped into the aquifer that we all depend upon for clean, affordable drinking water? Over 300 local citizens have signed a petition demanding the matter be put to ballot votes, yet the District Board is unresponsive to that request. I think I can see a Citizen’s Initiative in the near future…. PRIVATE WELL OWNERS IN SANTA MARGARITA GROUNDWATER BASIN AGENCY WILL GET TO CHOOSE THEIR OWN REPRESENTATIVES. I attended the Board of Directors meeting last week for the Santa Margarita Groundwater Agency, a joint power group including San Lorenzo Valley Water District, Scotts Valley Water District, The City of Santa Cruz and the County of Santa Cruz. Santa Cruz City had not yet chosen their representative, although a member of the audience pointed out that attending Supervisors Bruce McPherson and John Leopold both live within the Santa Cruz City Water service areas, so maybe the City had its representation there after all. I was glad to learn that this Groundwater Agency has written into its By-Laws that the Private Well Owners are to choose their two representatives themselves. There were about 12 private well owners at the meeting. They will meet July 31, 7pm at the Scotts Valley Water District Offices (2 Civic Center Drive, Scotts Valley) to begin organizing and select their own representatives to help write the plan that is required by the State Water boards by 2022 for a sustainable water scenario healing current critical overdraft problems. This is excellent. That was not how the three Private Well Representatives on the neighboring MidCounty Groundwater Agency were selected. Those people were chosen by representatives of Soquel Creek Water District, Santa Cruz City Water Department, Central Water District, and Santa Cruz County. There are no alternates. Those who were not chosen but were very well qualified perhaps wondered what criteria were used in the selection process? MIDCOUNTY GROUNDWATER AGENCY SPECIAL MEETING JUNE 29 TO EXPLAIN SELECTION REQUIREMENTS AND DESIRED QUALIFICATIONS FOR PLAN COMMITTEE. The Groundwater Sustainability Plan (GSP) will dictate how much water can be pumped out of the ground in the future, who will get to have it, and how much everyone will have to pay to have water. That’s a big responsibility to take on, and applications are now open for the job. Applications are available on the website: www.MidCountyGroundwater.org and are due July 20, 2017. To help explain the process and the requirements necessary for those who want to serve on the GSP, there will be a public meeting on June 29, 7pm at the Congregational Church in Soquel (that quaint white-steepled church in Soquel Village). The Selection Committee is still working out the details of how they will evaluate and “winnow” the applicants. I urge anyone interested in working together with others with a similar interest of solving this water dilemma to apply. I wonder if anyone on that GSP Committee will talk about a moratorium on new service connections in the area until this critical health and safety problem is corrected? I wonder if Soquel Creek Water District bookkeepers would be able to justify writing checks on an overdrafted bank account? Their Board is doing essentially that by continuing to hand out more and more new service connections for increased water use from a critically-overdrafted aquifer, justifying it by using a bogus Water Demand Offset Program with no measurable improvement results. ~WRITE ONE LETTER. MAKE ONE CALL. ATTEND ONE MEETING. Check the photo!! There she is, RoseAnn DeMoro. 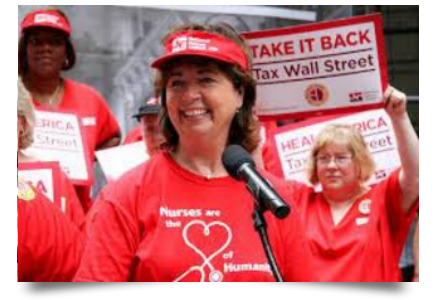 DeMoro is the head of the California Nurses Association, and I guess that her nice smile, as pictured in this blog posting, wouldn’t seem so friendly if you were one of those 1% people from Wall Street and didn’t like her “Tax Wall Street” message. The people complaining about DeMoro most recently, though, at least the ones mentioned in the Sentinel article, were not Wall Street 1%ers. They were Democratic Party politicians from California. Why were they so upset? How did DeMoro demonstrate that she doesn’t “play nice,” as far as those Democratic politicians are concerned? The California Nurses Association has been working for decades to overhaul the health care system in this state, and is currently supporting Senate Bill 562. SB 562 would establish a “single payer” health care system in California. If you want to read the current version of the bill, entitled, “The Healthy Califoria Act,” just click the link. Without trying to argue the pros and cons of the bill in its current form (and there are definitely arguments on both sides), I want to suggest that it is never “unfair” to deny politicians the ability to hide their votes and their actions. The voters often lack information about what politicians and elected officials actually do, and this lack of information screens those elected representatives from having to account to their constituents for what they are doing on behalf of the constituents. Representing those who elected you, of course, is actually what elected officials are paid to do, and it does seem pretty “fair” to let those who are paying the bills know what you are doing (or not doing) in their name. Why do so many people hate politics? I think it is because so many politicians and elected officials are fundamentally dishonest, and try to disguise their genuine views and their actual actions. These politicians and elected officials seem to think that “being nice” to them is what politics should be all about. Or, in the alternative, they pretend to think that this is what politics is all about, hoping to avoid scrutiny and disagreement. Guess what? Being “nice” to elected officials is NOT what it’s all about. Making our representatives actually do what we want them to do is what politics is all about – or what it ought to be all about. That’s Rule #5 in those “Five Simple Rules” that I keep mentioning. My advice to RoseAnn DeMoro? Keep smiling, RoseAnn! 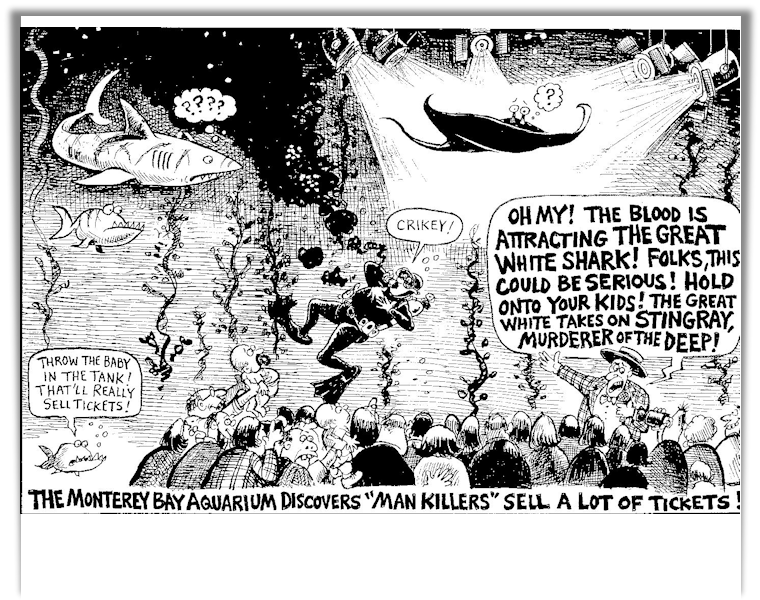 And, please, let me introduce you to my old friend, Harry T.
CLASSICAL DeCINZO This week, a popular “target” reappears… The Monterey Bay Aquarium. Scroll down a bit for the hilarity. EAGAN’S DEEP COVER. See Eagan’s “National Health Alert” down a few pages. As always, at TimEagan.com you will find his most recent Deep Cover, the latest installment from the archives of Subconscious Comics, and the ever entertaining Eaganblog. With a June 13 think piece titled “Play It As It Lies“. LISA JENSEN LINKS. Lisa writes: “In honor of Their Finest, which was such a big hit in Santa Cruz, let’s visit some of my other favorite movies about wisecracking scribes this week at Lisa Jensen Online Express (http://ljo-express.blogspot.com).” Lisa has been writing film reviews and columns for Good Times since 1975. DEAN. Kevin Kline is the only name we recognize and he does his usual excellent best. This movie is set in Santa Monica, and NYC. Demetri Martin is not only the director but he also is Dean, the lead kid. Kline’s son. It too could have been a fine sensitive story, but the directing, the attempt at humor, the lack of depth, doesn’t allow us to care as much as we should about the family. Not bad, but there are better films around. THE BOOK OF HENRY. A lowly 25 on Rotten Tomatoes and still Naomi Watts manages to make us believe her. Sarah Silverman is in it too but if you are a fan don’t expect much…she’s only in it a few minutes and she isn’t supposed to be funny!! Henry is a genius kid Naomi is a dopey Mom and Henry is dying. More than that for a plot Henry discovers that their next door neighbor ( a sheriff) is abusing his 12 year old stepdaughter!!! It’s a tragic waste of what could have been a very sensitive, developed drama. See some other film first. PARIS CAN WAIT. This piece of fluff tries to be a sophisticated travel –romance-comedy and it is terrible. It’s not even as honest a film as Baywatch…which makes no such pretensions. Diane Lane plays a still beautiful woman who completely subjects herself to a Frenchman as they take a car trip to Paris. Lane’s husband Alec Baldwin isn’t in the film very much and he would have been an even worse match. DO NOT SEE THIS MOVIE. THE MUMMY. Well it has a 16 on Rotten Tomatoes, and I couldn’t agree more. I’ll bet Tom Cruise snuck a whole bunch of Scientologists into this insane, completely confusing, screwy monster movie. It’s by far the worst Mummy movie I’ve ever seen. (probably about 4). Poor Russell Crowe who must need the $$$ to actually take on a role like the evil Dr. Henry Jekyll. Yes, Jekyll…because Universal is putting a Jekyll monster in one of their theme parks.!! It’s obvious you shouldn’t go, no one else is…it’s a huge bomb. Worth watching in our throwaway society… This couple has been married for 80 years. She’s 100, he’s 110. That’s mindblowing.